With its ultra-fine, densely packed bristles that feel like rich velvet, this makeup brush is unlike anything you’ve experienced. 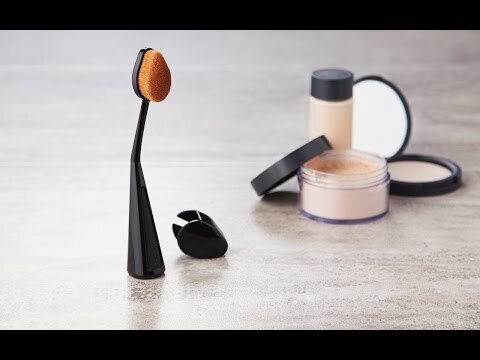 It combines the best of a sponge and brush, seamlessly blending moisturizers, foundation, blushes, bronzers, and powder. The finished look gives an airbrushed effect with no streaks. Plus, the innovative design is sculptural and functional. The tilted handle keeps it snugly in your hand. And the domed, angular shape fits nicely near the corners of your eyes and makes contouring easy. I bought 2 of these - they were supposed to be gifts. But I tried one and was happily surprised to see that using this product made a real difference. My "old" method was to put on my foundation and smooth it with a small sponge. When I used Wow Brush I could see how much smoother the foundation was on my face! This makes my morning routine a little shorter! I'm always a fan of that.